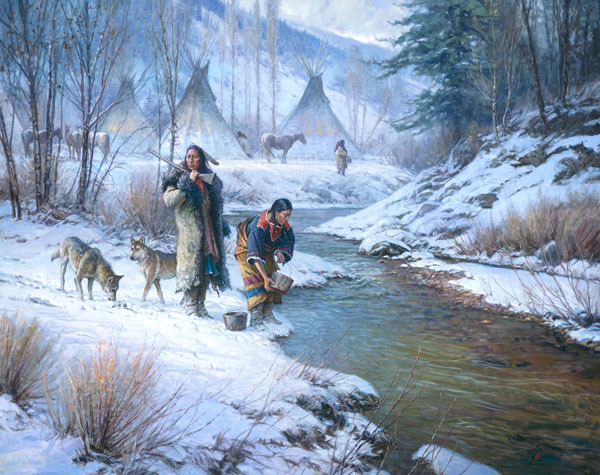 In this snowy scene, a brave stands sentinel as one of the women of the tribe fills her pots with water from the icy river. With days always filled with many chores to keep warm in the depths of the cold landscape, others of the tribe going about their duties in the wintry terrain. As winter settles over the camp, these Native Americans know there will be many "Days of the Coldmaker."